Prospective residents will turn to the competition if a community looks and feels dated, disjointed or otherwise uninviting. But operators need furniture that can withstand heavy use. Is it an impossible combination? Not any more. The frequently asked questions concept is a very effective and credible marketing communication strategy. The new vice president of workforce development at Argentum is tackling the field’s biggest challenge. Read our exclusive interview with him. Some assisted living community operators understandably were concerned in February after the Government Accountability Office released a report about federal oversight of assisted living services offered to Medicaid beneficiaries. Those who look beyond the comments of lawmakers and senior advocates, however, will see that the industry is not the target of the report. c.c. 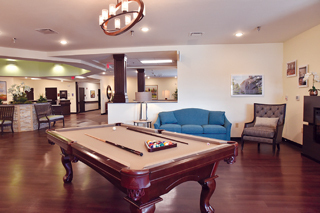 hodgson, Legacy Living, Revel South Bay and independent living. The Centers for Medicare & Medicaid Services needs to improve how it handles shared beneficiary data, according to the Government Accountability Office.